Cutting out sugar and using the stairs just a little more, is what I am sticking to, along with keeping my diet, a little, in check. So now snacking for me has changed from fried food, biscuits and chocolates to something healthy and filling. 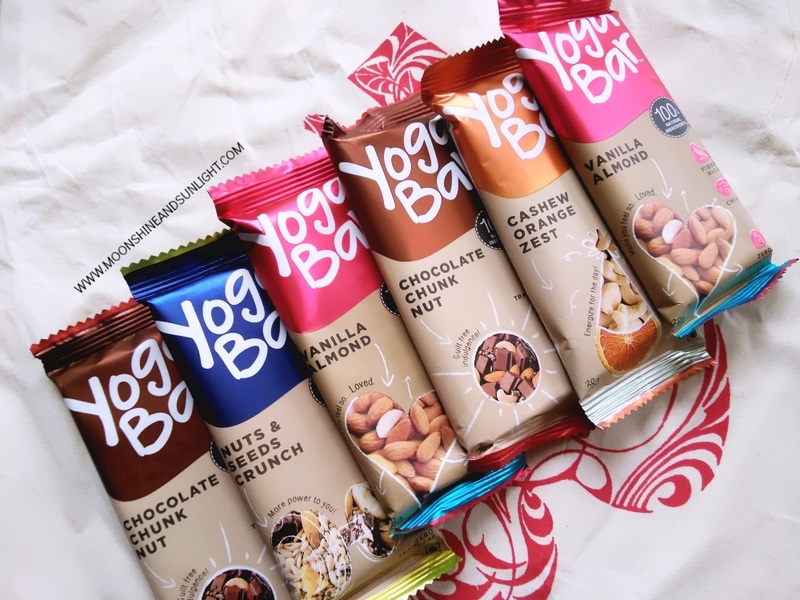 Yoga Bars, are the new way of snacking for me and I am absolutely in love with them. I tried four different flavors from them, namely Chocolate chunk nut, Nuts & seeds crunch, Vanilla almond, Cashew orange zest. All of these contain oats and dates. If you are a person who does not really like oats or dates, then this might be the way to have those! Every bar has the nutrition information provided and for the fitness conscious people, this is a perfect snack to have! Or even breakfast! Honestly , eating clean or good is actually a task. But with Yoga Bars, It becomes easy. I usually snack up on fruits or dry fruits when I am in mood to eat healthy and light. But, when there are none of those with me, I look for the Yoga Bars. They also have Chia seeds in some bars, which is personal favorite! My favorite is the Nuts & seeds crunch. 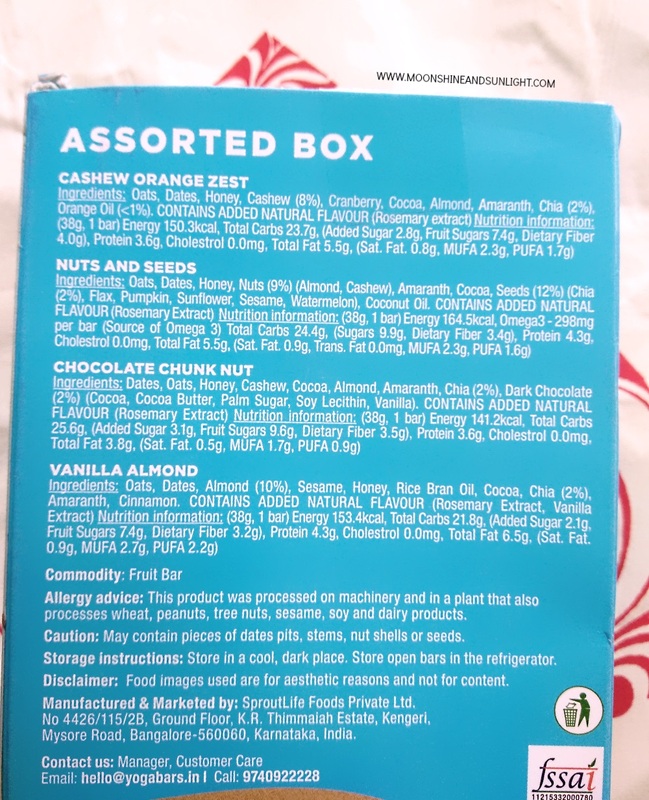 Love the crunchy health bar and the fact that it is actually filling makes it even better! So one bar has me sorted when I am hungry. The price these come at are super affordable too. 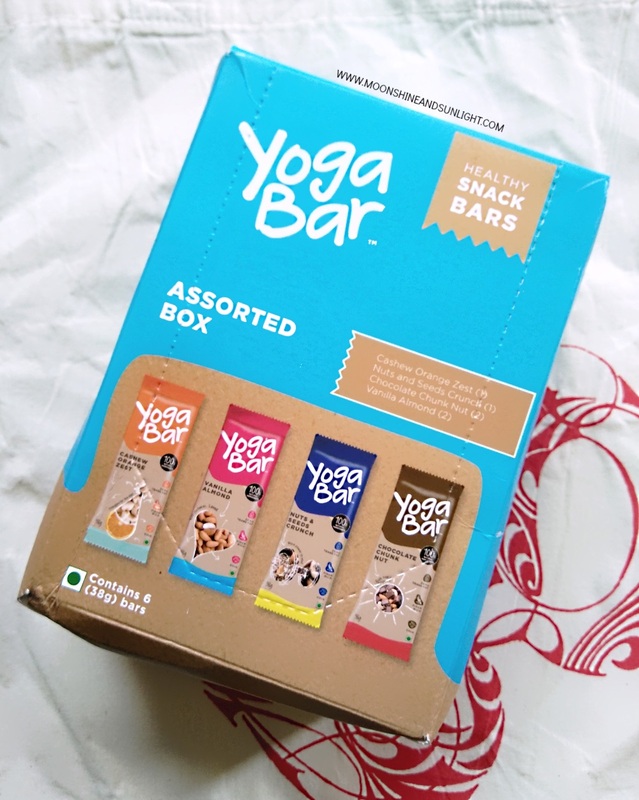 Basically , I loved everything about the Yoga bars! So I am going to rave about it for quite some time. These are also perfect to have after a workout/ yoga session because we usually are on the run. Trying to squeeze in time for exercise and breakfast because a task. That can be solved with the help of Yoga bars. 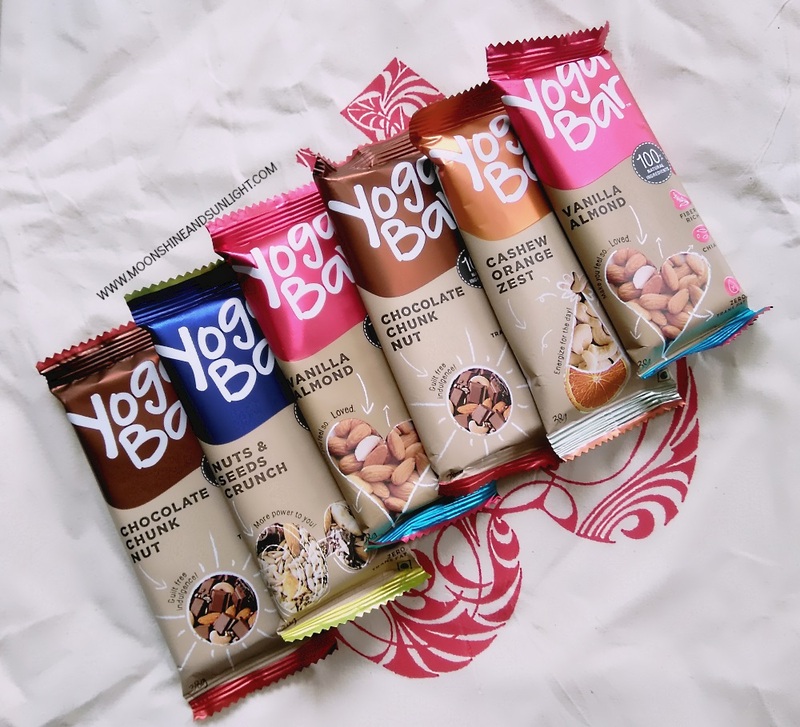 These cost 35 INR per bar and is available at yogabars.in. I would strongly recommend these to everyone. Do let me know your thoughts on these, if you give them a try! I have tried a few of these and absolutely love them! Awesome! which one is your fav!? For someone like me who hasn't given diet a thought, maybe this could be a start :D Lovely pictures Priyanjana! I tried these and I love them! They are perfect for a quick snack. Have to give the assorted box a try. Oh! which flavor did you try! I love the chocolate one a little too much!